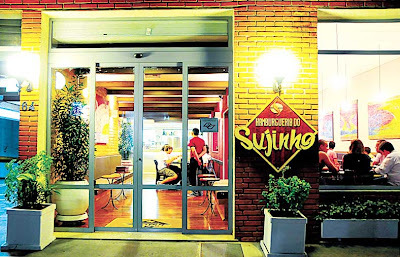 Inside São Paulo: Hamburgueria Sujinho is a brand new option for those looking for the best burguer! 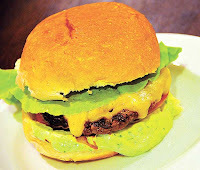 Hamburgueria Sujinho is a brand new option for those looking for the best burguer! If you are looking for a good hamburger, take note of this brand new burger shop in town. Basically, the burger on the grill is the essential ingredient in sandwiches, right? The Hamburgueria Sujinho makes it better when they offer the possibility of mixing loads of sauces and ingredients. On the menu, there are also options of salads and stuffed baked potatoes. Among the beverage, the highlight is the Nutella milkshake, made with the famous chocolate spread with hazelnut (R$ 17, 600 ml). A simple salad x-R sells for R$ 11,10. The prices are quite high compared with average similars. So far none of them accept credit card, debit card or any restaurant cards. Only money or checks. "The main concept is to place the barbecue Sujinho bread," said Afonso Reyes, the house's founder. Sujinho is an old and traditional restaurant of Sao Paulo. So old that neither the owners know for sure the Sujinho's opening date... You know, just who was there in the 1920s can remember that, said Reyes. Nowadays Sujinho has other three restaurants further the Hamburgueria. One on the centre and two others on the Av. 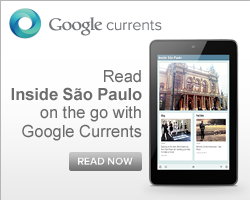 Consolação, close to the Paulista Avenue.